From How To Write An Inspired Creative Brief 2nd ed. The creative brief was designed to foster a common vocabulary, to define terms, avoid confusion, and ultimately save time and boat-loads of money. It’s a document around which we can all huddle, call signals and move down the creative field in unison. Okay, that was my first and last sports analogy. But it works, you have to admit. To improve at anything, especially writing creative briefs, you need to identify weaknesses and make them better. But you also need to identify strengths and try to make them stronger. Start by understanding that the creative brief is the first step in the creative process. It comes after you’ve figured out the strategy. Back in the days before digital cameras, photography buffs used a thing called 35mm film. Do you remember it? It came on a small roll and you had to physically load it into your camera. The process required you to spool the leader onto the camera's take-up reel which had teeth on it designed to grab the rows of holes on the outer edge of the unexposed film. It wasn't difficult, just something you had to practice. When you shot your roll, you rewound the film and took it into your local camera shop. Or, if you were a true purist, you learned to develop the film yourself in a home darkroom. The hardest part of developing a roll of film is the first step: getting the exposed film onto the take-up reel. First you have to fit the leading piece of the film between a pincer-like holder at the center of the reel, which you can see in the photograph provided. Then you have to spool the film gently onto the take-up reel, making certain the film never touches any part of the rest of the roll as you wind it onto the reel. You must allow space for the developing solution to wash over every part of the film. Once you've successfully wound the entire roll of film onto the reel, you place it into a metal canister and secure the top onto it. Again, refer to the photo. 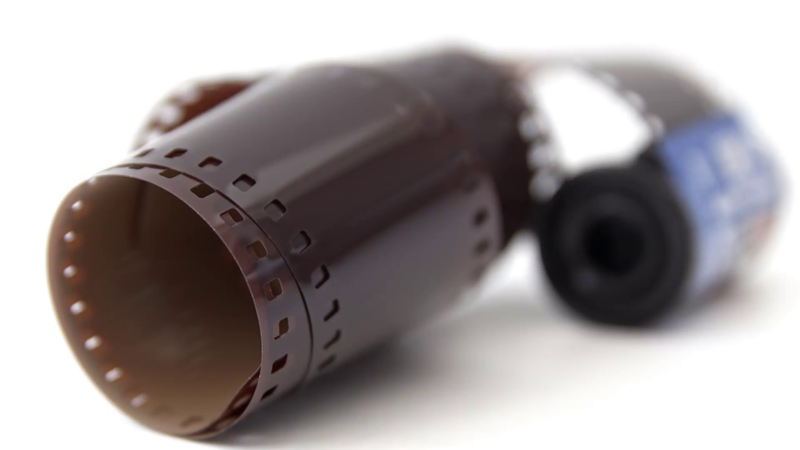 Then you can begin the process of developing the film by pouring in your developing solution. The hard part is over. You have to do this entire procedure in the dark. Any exposure to light and the film is ruined. You won't know if you've done it right until the very end, when it's too late to correct any mistakes. Which means you have to practice. A lot. Or you risk ruining all those shots you took of your daughter's 2nd birthday party. That's why developing film is like writing a creative brief. Does this actually happen in the real world of advertising? Yes. More than people realize. It happens because briefs are rushed, not well thought out, not well researched or all of the above. It happens because the team never got a brief in the first place so there's no standard against which to measure the advertising. The worst examples of this scenario usually happen when the creative is presented to the client. Everyone is on board, everyone is excited. Until the client speaks up and says, "but that's not what we want to say." Writing a creative brief, whether you're the client who's hired an ad agency or creative freelancers, or you're an account person responsible for writing the brief for your creative team, requires what? What causes the most headaches when you write a creative brief? What’s the easiest part about writing a creative brief? Refer back to this exercise as you make your way through the book. If you don’t get a satisfactory resolution to all your “headaches” send me an email.